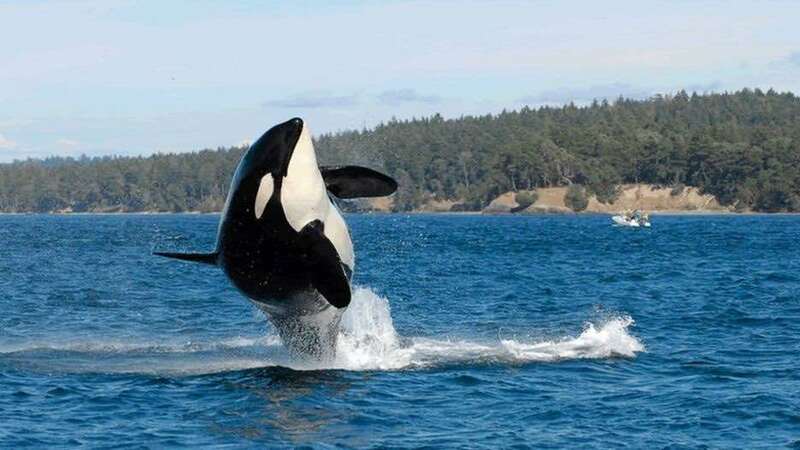 If emotions were water, and you took all the heartbreak felt by the millions who followed the plight of a starving orca whale grieving over her dead calf, you'd have a river the size of the mighty Columbia. If anger were a volcano, and you let loose all the rage felt by people over the daily assaults on public land by the Trump administration, you'd have an eruption with the fury of Mount St. Helens. And if just one unorganized voting segment, the 60 million bird-watchers of America, sent a unified political message this fall, you'd have a political block with more than 10 times the membership of the National Rifle Association. But no more. Politics, like Newton's third law of physics, is about action and reaction. While President Trump tries to prop up the dying and dirty coal industry with taxpayer subsidies, the outdoor recreation industry has been roaring along. It is a $374-billion-a-year economy, by the government's own calculation, and more than twice that size by private estimates. That's more than mining, oil, gas and logging combined. And yet, the centerpiece of a clean and growing industry is under attack by a president with a robber baron view of the natural world. I write from the smoke-choked West, where the air quality in major cities has been worse than Beijing this month. While Trump spends his days comparing women to dogs, and tweets nonsense about rivers flowing to the sea, the biggest wildfire in California history blazes away. After the four warmest years ever recorded, scientists have now warned that the next five will be "anomalously warm." But Trump doesn't even understand time zones, let alone atmospheric upheaval. In the face of these life-altering changes, Trump is drafting rules to make it easier for major polluters to drive up the earth's temperature. While the orcas of Puget Sound are starving, Trump is trying to weaken the law that protects endangered species. And while lovers of the outdoors break visitation records at national parks and forests, Trump is removing land from protection. This is not green goo-goo or fantasy projection. You can see and feel the energy in places ignored by the national political press. "If D.C. comes for our public land, water or monuments again, they'll have to come through me," says Xochitl Torres Small, a Democrat with an even chance of taking a longtime Republican seat in New Mexico, in an ad showing off her political chops. The revolt started after Trump shrunk several national monuments in the West last year -- the largest rollback of public land protection in our history. The outdoor retailer Patagonia responded with a blank screen on its web page with the statement, "The President Stole Your Land." It was the first shot in a battle that has been raging all summer. At the big, boisterous outdoor industry's national trade show in Denver last month, retailers who sell to the 144 million Americans who participated in an outdoor activity last year, or the 344 million overall visitors to national parks, vowed to flex some muscle in the coming midterm elections. They scoffed at the absurdity of propping up coal when there are more yoga instructors in the United States than people who work to produce a filthy fuel source. They were appalled that the increasingly strange interior secretary, Ryan Zinke, blamed everything but climate change for a summer of epic wildfires. And they promised to be heard this fall. "We hunt and fish," said Land Tawney, a Montanan who leads the fast-growing Backcountry Hunters and Anglers. "And we vote public lands and water." Only one in 10 voters think Americans should use more coal. And more than 80 percent of millennials, soon to be the largest cohort of voters (if they ever turn out), believe there's solid evidence behind these freakish manifestations of an overheated earth. Science, a huge majority believes, is not a conspiracy. And yet, this huge majority has been ignored. These people are now ready to "put aside our differences and stand together for the places we love," as Tawney and Yvon Chouinard, the founder of Patagonia, wrote in The Denver Post. You will see it in Minnesota, where the 140,000 people who work in outdoor recreation are furious at Trump's attempt to open a sulfide-ore copper mine near Boundary Waters Wilderness. You will see it in a half-dozen tossup congressional races in California, where the administration is mounting the biggest assault yet on public health, with its attack on emission rules. If it's self-interest powering the wave, such is the nature of politics. At a time of real peril for the things that most Americans love, the silent green majority has had enough.